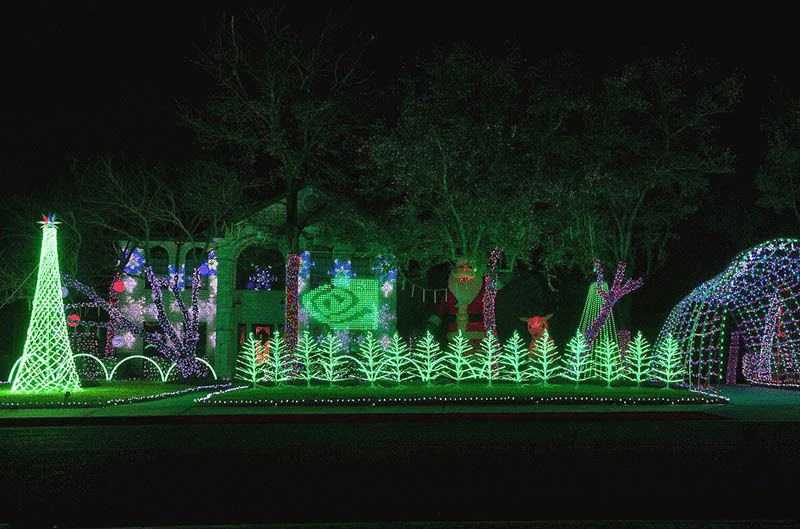 The sparkling display is created by Lee Franzen, a senior program manager at NVIDIA, who unleashes the power of our graphics chips to give his neighborhood a show to remember each year. Planning for his music-synchronized, 100,000+ light show kicks off at the beginning of each January, just as the lights from previous year are taken down. Lee just updated to NVIDIA GeForce GTX 1070 GPUs for his light display as they increase the speed and smoothness of the rending simulations he uses to get lights and songs synced properly. He also uses two monitors, one for music synchronization software, the other to run a light show simulator for simulating and sequencing the show before it goes on display in his front yard.